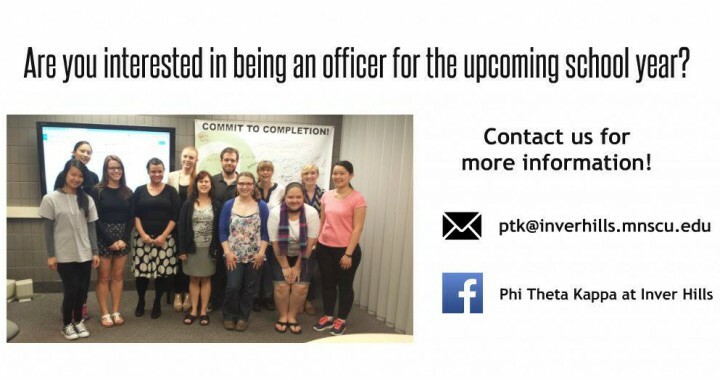 Do you want to be more involved with Phi Theta Kappa next year? Let us know! Contact us through our Facebook page “Phi Theta Kappa at Inver Hills” or e-mail us at ptk@inverhills.mnscu.edu to learn more.